Three views of Detroit's emerging Riverwalk: Above, the Riverwalk under construction in front of the Omni Hotel, the former headquarters of Parke Davis. 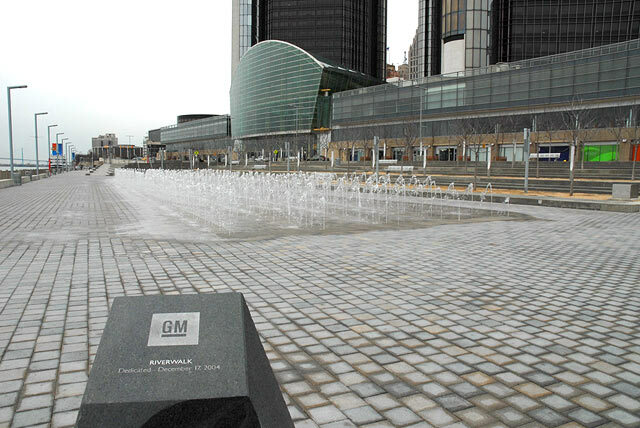 Below: a finished section of the Riverwalk by the GM-UAW center. 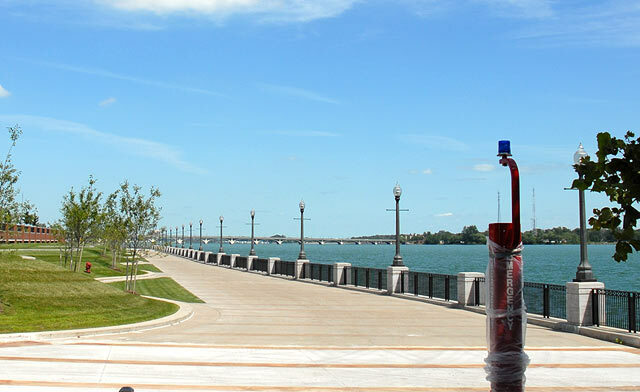 The Belle Isle Bridge can be seen in the background. Below: A section of Detroit's Riverwalk as it passes by the Renaissance Center in downtown Detroit. In the distant left a segment of the Ambassador Bridge can be seen . 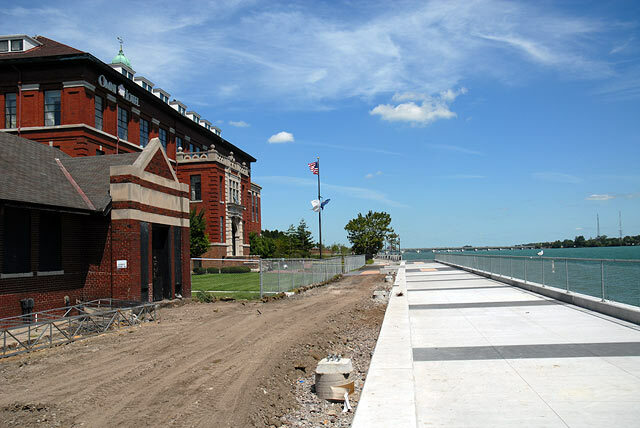 When completed the walkway will run from that bridge to the Belle Isle Bridge.